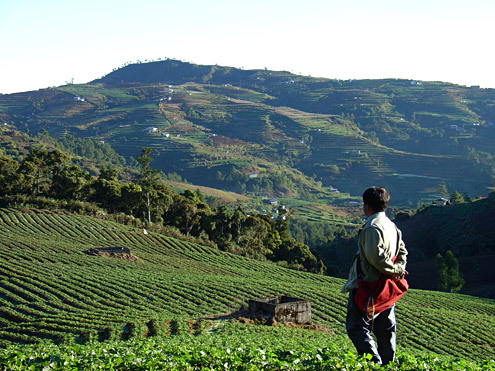 Commercial farming is conducted sustainably in many areas in the Philippines. 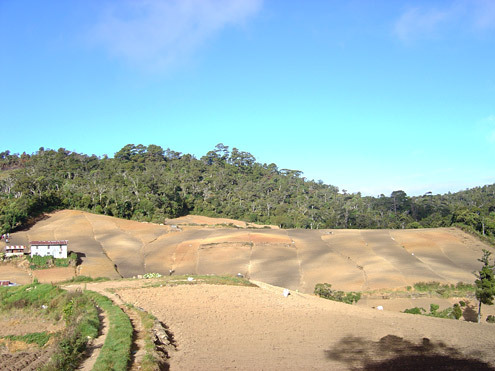 Lowland areas with low slope that has access to abundant water (see "watersheds", below) can be used to produce crops such as rice and vegetables, and somewhat drier land can produce corn, fruit trees, coconuts, and livestock. In places where farming has spread onto steeper slopes, it is often unsustainable, resulting in local erosion and loss of topsoil, and in flooding and drought downslope. Few native mammals, aside from a few species of bats, are able to survive in agricultural landscapes; instead, these areas are dominated by non-native pest rats. 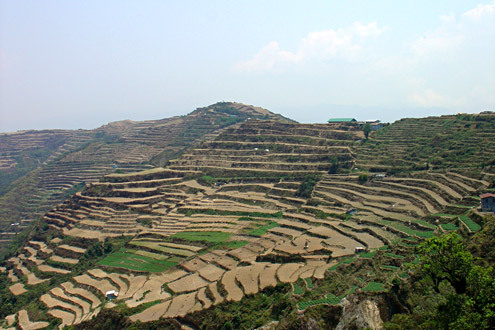 The spread of vegetable farming during the last several decades in high-elevation areas, including the Central Cordillera, has removed mossy forest over large areas. Mount Data National Park was once the home of many distinctive endemic mammal species such as Crateromys schadenbergi and Carpomys melanurus, but only a small patch of forest now remains. Most of the mountain has been entirely cleared of forest, up to the edge of steep precipices. 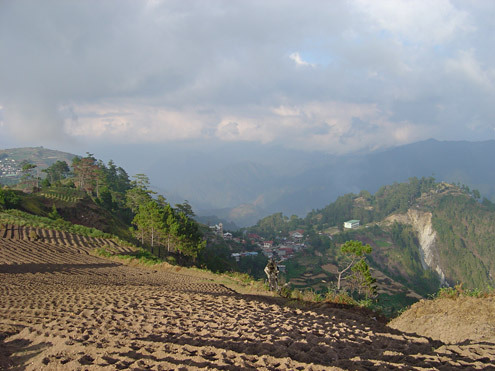 A typhoon in 2009 caused substantial damage due to erosion of steep, unprotected hillsides.